Working in conjunction with the City of Los Angeles-Bureau of Engineering, Council District no. 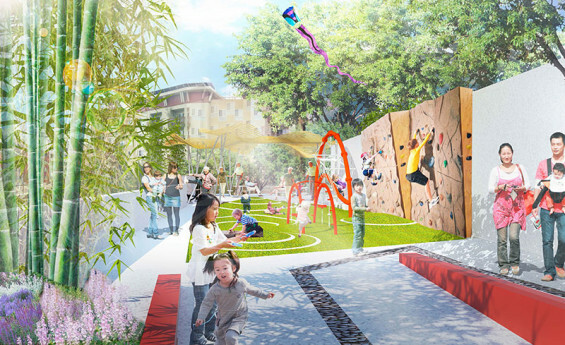 1 (Councilmember Cedillo), and funds from Proposition 84, Proposition K, and Proposition A grants, AHBE has been transforming this vacant, blighted hillside, into a place for the Chinatown community to gather and play, exercise and heal, rest and contemplate. With nearly one-hundred feet of elevation change on this one-acre site, the goals is to bring connectivity and community within this neighborhood. Named as Ord & Yale Street Park, the design provides a place for health and wellness, serving the various demographics and ages. 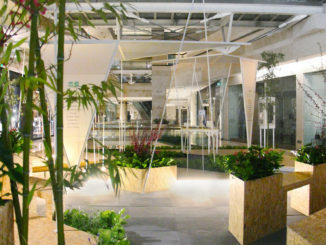 The landscape design is an experience – a journey of the mind, body and spirit – and is manifested in the creation of three main gathering spaces: the “Lotus Plaza”, “Bamboo Garden”, and “Heavenly Garden”. 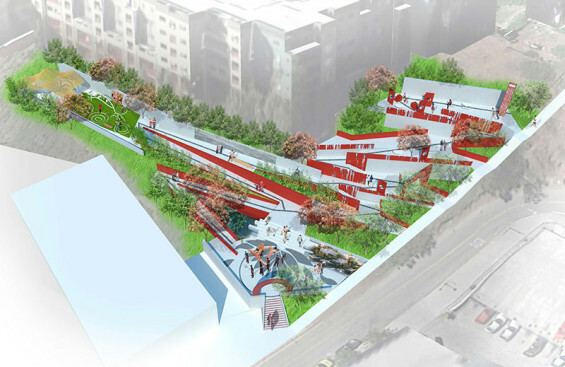 Adjacent to the Chinatown branch library, users enter the park via a set of grand stairs and through a “Moon Gate” into the “Lotus Plaza”. 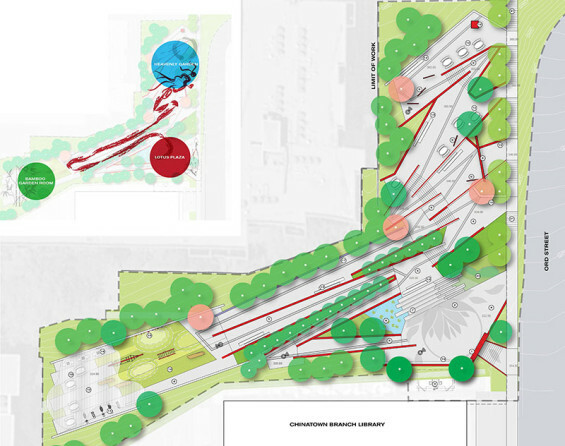 This is a space designed for stimulation of the mind with information and knowledge: a place for art performances and community gatherings with amphitheater seating, decorative paving, and a water feature. 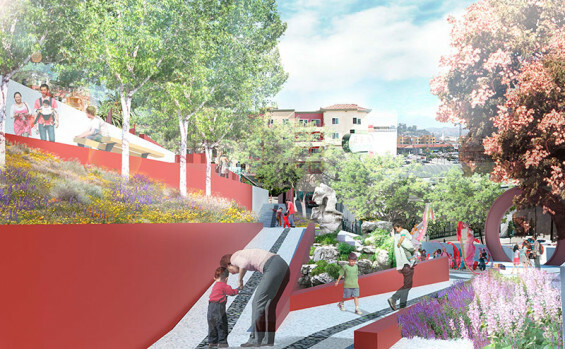 A series of sloped walkways characterized by decorative guardrails and lighting connects this lower plaza with an intermediate terrace – the “Bamboo Garden Room”. The Garden Room promotes physical health and well-being – the “body” – with a children’s play area, a rock climbing wall and fitness equipment. A trellis shade structure with ample seating will allow for a place to enjoy views of the immediate Chinatown neighborhood. A prefabricated restroom building will be adjacent. 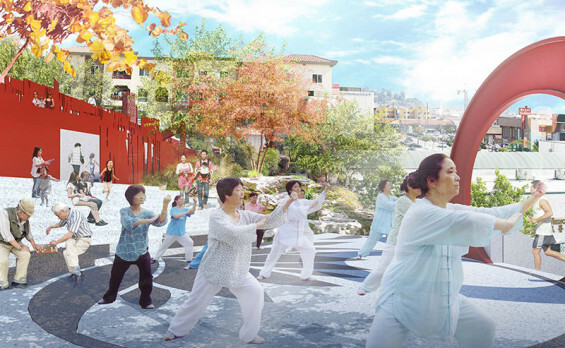 Leaving the “Bamboo Garden” space, users will enter the “Dragon Walk” and climb nearly thirty feet via sloped walkways, ramps, and stairs to the highest elevation of the park proper – the “Heavenly Garden” – a place for rejuvenation of the “spirit”. 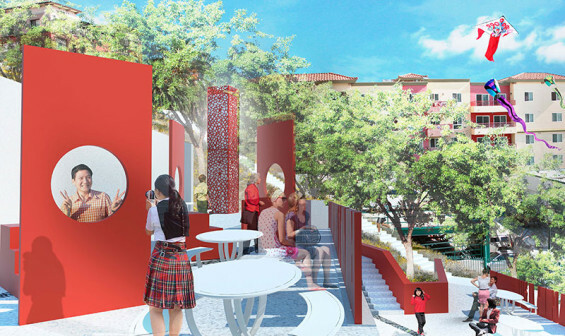 A decorative lantern-like beacon tower, visible from the Chinatown area, forms the centerpiece for this space, offering expansive views of Los Angeles and the San Gabriel Mountains. A series of “Moon Viewing Windows” will be sited to frame views of the moon during the Chinese Mid-Autumn festival and other cultural holidays.